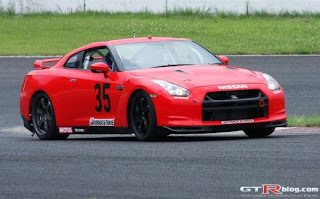 Nismo is out testing the R35 GT-R that they are going to run in the 24 hour of Tokachi race. There appears to be some extra vents in the front bumper. Little triangles in the upper right corners of the dark section of the front bumper. The biggest thing I am concerned with is the brakes. I guess we will see how many times they have to replace rotors.